IT managers, or outsourced Managed Service Providers, should always steer management with technology management recommendations proactively. Hardware does get older; new software versions come along; hardware and software even becomes obsolete. Lifecycle management is a subset of technology management and should be reviewed regularly by either internal staff or your outsourced Virtual Chief Information Officer. I utilize a Risk Assessment worksheet to document everything critical to my client’s IT environment from hardware to software, local and remote technology. Some of the considerations, beyond business drivers, include the physical age, performance metrics, end of life, and end of support data for hardware and software. So, you might ask, “what’s the risk to my small business if I’m not managing and attending to my technology’s lifecycles?” Worst case is you’re exposing the business to unplanned downtime. One of the most common examples is an expiring agreement. Virtually every business has a domain name used for accessing a web site and managing the flow of email. If the registration for your domain name expires, the business is not only at risk of disruption of email flow or access to the web site, but another organization or individual can actually take ownership of your domain name, forcing you to find a new name. Some other expiring agreements associated with lifecycle management include SSL certificates (equally as disruptive as domain names) and both hardware and software maintenance agreements. Second in line to expiring agreements is dated hardware or software. Let’s start with hardware. In general, my greatest concerns about hardware reliability occurs right after new equipment is deployed and after 3-4 years of its useful life. The graph below provides an illustration of the typical lifecycle of a piece of equipment. During the first 90 days or so, there’s a risk of premature failure. ANP will “burn-in” new equipment for a series of days to try to catch this potential risk. Once through the first 3-6 months, failure rates become quite infrequent. 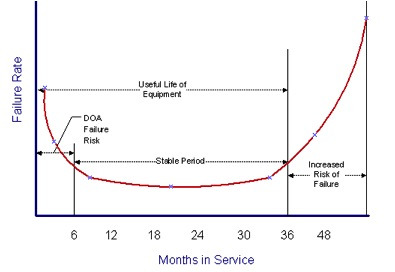 As equipment ages beyond 3-4 years, the risk of a component failure dramatically increases. This risk can be mitigated through effective business continuity planning. We’ll typically leverage redundant components and systems in our designs and discuss the cost/benefit relationship to insure the client is making the most prudent business decision. The last aspect of technology lifecycle planning is driven by the manufacturers and software developers. It’s referred to as End of Life and End of Support. Many of the major manufacturers publish End of Life documents. I’ve included a few common manufacturer links to their lifecycle web pages. One of the most notable, near term events, is the pending Microsoft Windows XP SP3 End of Support date, April 8, 2014. This means that as of April 8th, Microsoft will no longer provide automatic fixes, updates, online technical assistance or, most importantly, security patches, potentially leaving your business vulnerable to virus attacks or security breaches. Upgrade key physical servers every 4 years. Configure the virtual host servers “N+1” so you can function if one server fails; stagger purchase dates; monitor performance, then replace upon failure of a host unless performance dictates. In summary, it doesn’t matter whether you’re large or small, driven by technology, or just consider it a necessary evil; you need to have a Technology Lifecycle Management strategy. I’ll leave you with a few guidelines and resources. As always, drop me a note if you’d like to discuss lifecycle strategies, or request a free network assessment to determine where your IT equipment is on the lifecycle graph. What is an IT audit and when do you need one? ● Compliance agencies: A growing number of sources—including HIPAA (healthcare), PCI (payment card/transaction), Sarbanes-Oxley (internal financial controls), and state privacy acts—have generated an increase in audits by accounting firms and related agencies. ● Prospects: Increasingly, customers or prospects will request documented confirmation of the quality of your infrastructure, policies, and procedures, especially if you are doing business with larger corporations and leveraging EDI (Electronic Data Interchange). ●Software developers: Small businesses aren’t usually targeted, but it is not uncommon for a disgruntled employee to raise a flag triggering a software licensing audit, whether warranted or not. ● You, the business owner: IT can be something of an unknown entity. A proper IT audit will answer questions such as: Do I need to expand? Or, conversely, have I invested in unnecessary, inefficient, or outdated IT resources? Might outsourcing my IT be a better solution? What’s in an IT audit? All IT audits are focused on identifying risks of one type or another. An IT audit could be strictly financial, more broadly focused on policies and procedures, or narrowly targeted toward the physical IT infrastructure itself. Financially-oriented IT audits are usually internally driven. Management may be questioning the ROI (Return on Investment) of existing labor investments. Are IT staff workloads increasing, while total employee headcount or sales remain static? Are equipment upgrades being requested that budgets can’t support? Are you experiencing project budget overruns, or have past projects not met expectations? The IT audit process can answer these financially-oriented questions. Change management is not just an IT or Human Resources process, but a company management process. As employees come and go, is your IT department aware of all staff changes? Are procedures in place to insure that terminated employees or interns no longer have access to your technology? Do active employees have access only to the data and systems needed to perform their jobs? What is your process for upgrading your primary line of business applications? Is it as controlled as it should be? Do you have an adequate “fall back” position in the event the upgrade goes south? 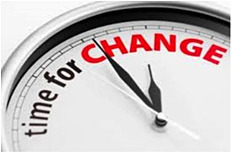 An IT audit can be used to tighten up these change management procedures. Technical IT audits evaluate physical infrastructures: security systems; infrastructure design and configuration; equipment age and supportability; licensing compliance… The list can go on and on. Even if the physical components of your IT infrastructure make the grade, auditors will also want to understand your IT processes and procedures. The absence of processes and procedures, or inconsistency in executing them, will draw the attention of auditors, but even more importantly, will increase your risk of business system outages. At its core, an IT audit, however granular it may become, should be focused on understanding security vulnerabilities, capacity and end-of-life equipment risk, and disaster recovery / business continuity metrics. Should you be considering an IT audit? If you’ve found that you yourself, your internal IT team, or your outsourced provider are unable to answer many of the above questions, or if you’re just not satisfied with the answers you receive, now is the time to begin planning an IT audit or Network Assessment of your systems, processes, and procedures. The insights you will gain from this effort, whether you perform it yourself, or outsource it, will empower you to act from a position of greater strength. The net result will be a clear picture of your operations, with discrete action items that will improve your business. Is your computer support guy treating you like a bad date? Promises made and not kept? When you call them for help, you end up talking to their voice mail. When you finally get them on the phone, they make you wait hours – even days – before they actually get your problem resolved. Sometimes it never seems to get fixed and it’s easier to find a work-around or simply fix it yourself than to call your IT provider! Even then, a lot of them take longer than they promised, nickel and dime you over everything and, as a final insult, they act like they’re doing YOU the favor! Every time you call your IT service company you are guaranteed an invoice, but not necessarily a resolution. They often use their techno speak to confuse you, and respond when they feel like it, its never about your requirements and more about their schedule. 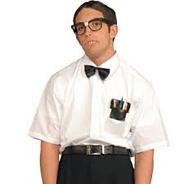 You don’t need a computer nerd to act like a bad date; what you need is a new approach to your IT support. The old Time & Materials approach is no longer effective for your growing small business. I spend most of my time speaking with our clients and prospects; the vast majority of business owners I speak to already have an IT service provider relationship in place, however, the business owner is exasperated with how poorly their IT provider is treating them. You need IT support but you don’t need an unresponsive Time & Materials provider, there is a better way, a new way. By changing your IT support approach from reactive (where you are waiting for a problem and then reactively calling your IT support guy to solve an issue) to proactive (where you rely upon a new IT support company to proactively manage your IT computer systems and software. This new proactive approach can actually reduce the frustrating breakdowns and bring your network back to a reliable and highly available network you once had. Better yet, the proactive approach can be purchased as a monthly fixed fee that you can budget for and rely upon to solve all of your network issues. As the owner you no longer have to balance the cost of a potential T & M service call vs. accepting the IT frustration of a lingering IT problem. With this new IT Support approach your IT Support provider is financially incented to get your network running so well that he never has to stop everything and be interrupted by an unexpected problem in your network. Imagine an IT relationship with your new IT solutions partner where you both are working together for a mutual goal; a 100% percent available network, no downtime, no problems, happy and productive employees. This new approach is called IT Outsourcing, or perhaps you have heard it called a Managed Service; the IT solutions company is called a Managed Service Provider (MSP.) You can outsource your workstations and servers, or your Wide Area Network and your Local Area Network, your disaster recovery systems and even your phone system. There is no longer a reason to feel like your IT support is a bad date that never ends, you can find an IT Managed Service provider that will treat you like you felt on your first date with your significant other: goose bumps! There is a new way and a better way to purchase your companies IT Support. Want To Learn More: You can sign up for a one-hour webinar and learn how Managed Services might help your company lower your IT costs, improve your network and application availability and make your employees more productive! Learn how IT Managed Services can improve your business! Not Ready To Watch a Webinar yet? If not, I’d at least like to give you a copy of my new free report, “6 Essential IT Outsourcing Strategies For Your Business.” Even if you aren’t ready to watch a webinar right now; this report will give you some important strategies for you to consider regarding your IT. Should you consider IT Outsourcing for your small business? If you’re like most small businesses, you rely on your workstations, laptops, servers and technology to keep your business running. Unfortunately, that means when your IT stops working, you and your business stop working. Anything from computer problems, network glitches, viruses, or software issues can bring your work to a halt very quickly and cost you money to fix. Even a relatively ‘simple’ problem or question could involve many hours of troubleshooting, resulting in unplanned downtime and expenses. To keep your employees productive, you need to keep your PCs, printers, routers, servers, network, firewall and applications and other systems running like clockwork. Managing your IT technology may not be the business you’re in, but it is important for your success as a whole. Not only do you need a way to minimize the frequent tech issues that drag down productivity and drive up costs, you also need to maximize the tools and technologies that increase productivity and help your business grow. So where do you turn if you don’t have the time to manage it on your own or the money to keep a dedicated tech team on staff? You look to an IT services provider – a partner that can give you access to your own IT team. Also known as a Managed Services Provider (MSP), an outside MSP can take over the day-to-day management of your IT needs. A good provider can offer set-up, maintenance and proactive IT management, as well as solutions for simple, but important questions or fast-breaking problems whenever they arise. Put simply, an MSP can give you a better way to manage your technology and support your business. If you feel outside IT support makes sense for you, here are a few key questions to ask when choosing an MSP. 1. Do they understand your business? You want a provider who already works with businesses like yours – who knows the technology, software, and hardware you use within your industry. An association or a non-profit has entirely different IT needs than a manufacturer. When speaking with an MSP, be specific about your set-up, applications and your concerns. Ask directly, do they understand and already support a business like yours? Are they familiar with the software applications you work with day in, day out? Can they work with PCs, with Macs, with servers? What about mobile devices or combinations of different printers, scanners, and routers and firewalls? 2. Can they support you remotely or On-site? How fast can they respond? While it may seem comforting to have a technician come to your office with tools in hand, the convenience and speed of remote service and support is invaluable. Remote support is faster, and more efficient. For example, if you’re experiencing a problem, you call your provider, who walks you through some diagnostics, resets, or other procedures on the spot. This can often resolve many issues without an in-person visit. Remotely delivered support is remarkably fast. In other cases, a provider can access your systems and networks remotely (with your permission, of course). They can reset routers, change network settings, scan systems for viruses and malware, or reinstall software and handle many other problems in far less time. Why wait for a truck to arrive if you can do it now? Just ask: What are your remote capabilities? With that said, there will be times when you need on-site support. Such as when you’re setting up new equipment, resolving physical issues with networks, moving equipment around the office, or when problems can’t be handled remotely. You need a provider who can deploy on-site technicians promptly, wherever you happen to be. 3. Do they work nights and weekends 24 hours a day 365 days a year? When do you most need service and help? If you are in retail, hospitality, manufacturing, transportation, or any other business where 9-to-5 doesn’t apply, you need a provider who is 24/7. Or maybe the only time you can stop for service is outside of your working hours. A provider who is daylight-only may provide only limited services, or slower response after regular business hours. Who has time for that? Look for a provider who keeps hours for your convenience. And who doesn’t have a slower response time or charge more just because it’s dark out. 4. Do they offer Proactive Support? It’s always best to have a relationship with an MSP before something happens. When your network crashes or your computers go dark, that is not the time to start hunting for help. You want a resource you know, and who knows your IT environment before there is a problem. Ask the MSP what preventative services they provide, to help spot potential problems before something breaks. This can involve scanning your computers for rogue code, troubleshooting your network, testing your network for performance issues. All to prevent problems before they happen. Can the MSP show you that over time through their proactive processes that you will have fewer issues? Ask their references if the MSP has been able to lower their IT issues over time, after all isn’t that what you are trying to accomplish? 5. Do they offer an unlimited amount of Support Desk incidents? Beware the MSP who tells you how much support time you require in hours or in incidents and then charges additional for anything you use over their allowance. This can lead to unforeseen monthly charges, and end up costing your business much more than you originally thought you were going to pay. Ask the MSP if they offer an unlimited support option; ideally, if the MSP is doing their job well, there will not be a lot of support incidents. Ask the MSP if they have outsourced their support desk. Is the support provided from a call center overseas? Do they offer 24 X 7 support? 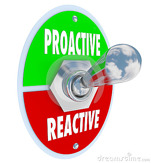 Can they demonstrate that reactive support desk issues go down over time? 6. Has the MSP’s policies and practices been audited? Do they have SSAE16 Type II accreditation? You wouldn’t use an accountant who was not certified, nor would you go to a doctor who was not certified, so why outsource your IT services to someone who is not certified? The SSAE16 Type II accreditation insures that an independent IT expert, against a stringent set of policies and best practices, has audited your MSP. Ask to see their SSAE16 opinion letter; it should be issued without any contingencies or exceptions. Don’t rely on the MSP saying hey have been in business for X amount of years, without an audit, there is no way of you to determine if they are actually operating their clients in a best practice manner. 7. How do they charge? What do they provide? While it may seem prudent to arrange for support on an a la carte basis, only when something breaks, that practice can be unpredictable and costly. That’s especially irritating when the problem could have been prevented. Or a simple question could have been answered in no time. A better option, more and more common, is an all-inclusive monthly subscription fee – priced either per device or for the entire business. Depending on the provider, this monthly fee can include whatever immediate services may be required, along with some combination of proactive and reactive services that can include performance tests, scanning for viruses and malware, along with data back-up, hosting or other ancillary services. The advantage is that the costs are more predictable, and usually nominal, no matter what issues may occur during the month (even if there’s a major problem requiring on- site service, or you need equipment replacements). What’s more, proactive and preventive maintenance can help address potential problems long before they can cause downtime or customer inconvenience. In addition, the costs of adding more users, and additional computers are easy to predict. As a business owner, you may decide you only want added support for yourself and the select employees who manage your most critical business data. As your business grows and you bring more critical roles into your company, you need a solution that can scale with you. With a monthly subscription model, there is little uncertainty. Is it time for you to consider outsourcing your IT services?